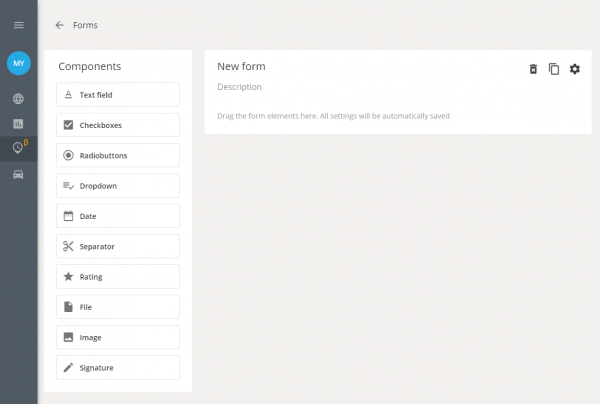 Create forms according to your company’s workflow. 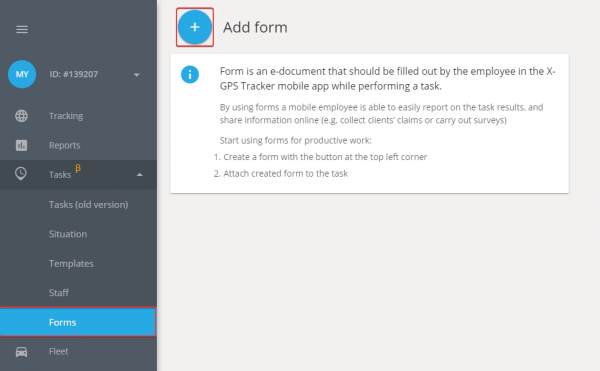 It’s possible to make any number of forms and adjust them to the corresponding tasks performed by an employee. Choose the needed components on the left side of the screen. Use as default: we recommend to set this option when there’s one and the same form used many times.Turn on the option and the selected form will be automatically set for each created task. Submit forms only in the zone: with this option turned on, an employee will not be allowed to complete and send a form outside the task zone. This way, you can set the place where the form is only allowed to be submitted, for ex. during a client meeting. This’ll improve data reliability and ensure its timely receipt. Make a component mandatory to be filled in — you can set the most important components to be obligatory as well as allow an employee to choose other components containing additional information. 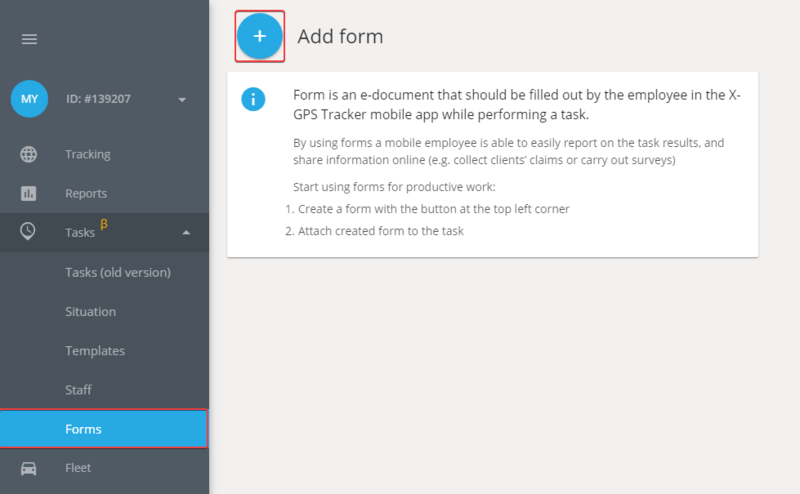 This way, an employee will be able to send a form from the X-GPS Tracker mobile app to a server only after having filled out all the components required. You can drag elements to a new location using the mouse. Copy, edit or delete components. Insert information of any kind, for ex., put a service name and its description. The user may select one or several options from a list. It’s also possible to set the min and max number of checked positions allowed. The component allows the user to select one option from a set. This component has the same functionality as “Radio buttons”, the difference is that here the variants are hidden in a dropdown list. All the components beyond the page break will be taken to the next page. Ratings allow mobile employees to put a mark. For instance, to evaluate the product shelf placement. The users can also change stars number in settings.